The case study focuses on the outcomes and impacts of social audit practices in the framework of the Improved Livelihood of Rural Communities (ILRC) project implemented by HELVETAS Swiss Intercooperation in Afghanistan. This section analyses twelve case studies on civil society participation and accountability in local governance processes. It looks at power issues and the analysis of power, the role of civil society and participation of civil society in local governance, accountability mechanisms and experiences, alignment with national policies and systems, and specific issues in fragile contexts. The objective of this brief is to provide policymakers with strategic recommendations to support project/programme teams in strengthening SDC’s programming in civil society participation and accountability based on key learnings from the case studies. This review looks at how and when do donor policies and initiatives for social inclusion in local governance processes and institutions really work to improve the lives of the poor. 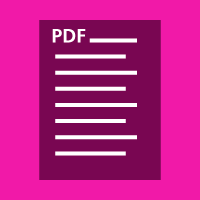 Powerpoint presentation, reporting working groups 1&2. This document focuses on SDCʼs own practices and experiences in promoting social inclusion and empowering disadvantaged groups at the local level. To assist in engaging concretely with this experience, four case studies have been developed on four different types of social inclusion initiatives. Results of the Learning Project. 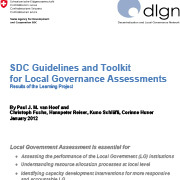 Intercooperation (IC) and the Institute of Development Studies (IDS) have been mandated by SDC to carry out a capitalization of SDC experience in conducting Local Governance Assessments (LGA) in the frame of SDC!s “Decentralization and Local Governance Network” (dlgn).